Astitchworks Concepts (Astitchworks Fashion Sewing Institute - AFI) offers intensive sewing program of different visions of contemporary and traditional dressmaking courses for employees, individuals, groups, and organizations. We also welcome an international environment with students from other countries too. This provides intercultural exchange where attendees can expand their vision and experience new cultures that will stimulate inspiration. There is no age limitation or qualification requirement to attend Astitchworks’ courses.Our trainers are skilled in delivering traditional, interactive and experience. By guiding, supporting and integrating exercises and activities into the sewing program, learning takes place in a highly participatory manner. By end of the completion of their courses with terms and conditions apply, students receive a certificate from the private education school of Astitchworks Fashion Institute. Our trainers are skilled in delivering traditional, interactive and experience. By guiding, supporting and integrating exercises and activities into the sewing program, learning takes place in a highly participatory manner. By end of the completion of their courses with terms and conditions apply, students receive a certificate from the private education school of Astitchworks Fashion Institute. We hope that those who attended at our institute, learners to reflect on their learning and develop learning better skills, as well as strategies to achieve their goals; include to prepare for careers and positively impact the quality of life. Today, we teach more to high-quality technology that works the best and easiest for students. Our trainer teaches the correct measuring and drafting because it is a very important part that students should need to know about the body they are fitting. Learning to sketch a small-scale pattern is a process for students to recap lesson always before we teach students to fit the design themselves. The first lesson we will give students a comprehensive presentation of basic fundamental and sewing knowledge. Then, a student will learn how to drafting fit method use the A1 paper as well as to redesign or alter the pattern to fit their body under our expert guidance. Once students have fitted this apparel, students will know what alterations are necessary for the most fitted garment students to sew. Our trainer will show sample fabric for you to buy that easy to sew during at the beginning lesson. The next or following lesson is to transfer the pattern with confidently right to your fabric. Students will cut the patterns in fabrics and learn to pin-fit the fabrics and fine-tune the fit to both sides of our body. Then, our trainer will demonstration step by step the sewing techniques until students complete their project. 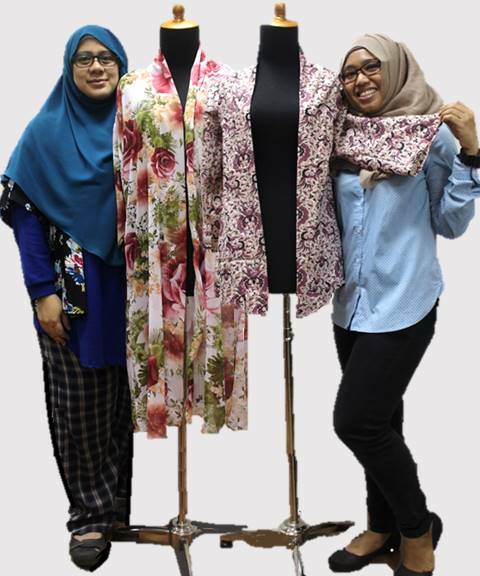 By the end of the class, students will be EMPOWERED to sew any pattern design and make it fit themselves. Besides that, we also allow do most on the hands-on fitting, we continue to be innovative and fine-tune their skills. Astitchworks reserves the right to change or suspend or cancel any course in an emergency or case. Allow venturing the designs as many students want without obligation, but; it must base on their courses subject they registered and priority must complete each project first. Students have to bring their own sewing materials and accessories including fabric in class. Overlock stitch services are charging. Students will receive FREE sewing kits, notes, drafting book except for workshop will provide the tools and equipment only. Mineral Water and biscuits provided during lesson period. Tuesday to Saturday: 11.00 am to 05.00 pm. Closed on Monday, Sunday and Public Holiday. 20, Joo Chiat Road #02-08 Singapore 460522. (opposite Joo Chiat complex taxi-stand and NTUC, please enter the lobby for 2nd Storey. Please leave your message and we will try to get back to you within 2 to 3 working days. Kindly come personally to discuss more on our sewing program at 20 Joo Chiat Road #02-08 Singapore 427357 from Wednesday to Saturday, 11.00 am to 05.00 pm. By setting up your appointment in advance at https://www.astitch-works.com/appointment-for-courses-preview.php would be better. It took 20 to 30 minutes to explore you about courses' information and other issues you should need to know before you register. Please sign up first to be a member at https://www.astitch-works.com/login.php or those who already a member, log in to register for the course. The payment can make through Pay Now Online +65 91857267/Ibanking transfer/cash/cheque (Astitchworks Concepts) before the class start. Upon full payment approval, please confirm the schedule with Astitchwork. Our fashion sewing programs are flexible and are tailored individually according to students interests and needs. Semi-Private classes enable students to receive constant attention and feedback on their technical and creative skills. 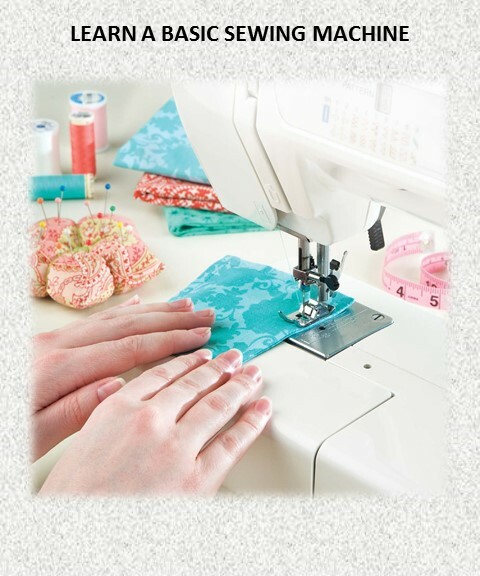 We prefer to conduct in a private class with a quite social and fun because we understand that our learners want to build up their techniques knowledge and make their sewing more professional by adding a variety of professional sewing and finishing techniques as well as time savers to their repertoire. Our instructors work with students in a one-on-one setting to ensure that students leave with a more confident sewist and our training services provide basic on the characteristics and skills of each learner. A lot of Tips and high-quality Techniques will be shared. The courses package of 12 lessons X 3 hours or 6 lessons X 6 hours with 1.5 hour to be complete within 3 months given. However, extension time will be granted upon appeal received and approved by Astitchworks. 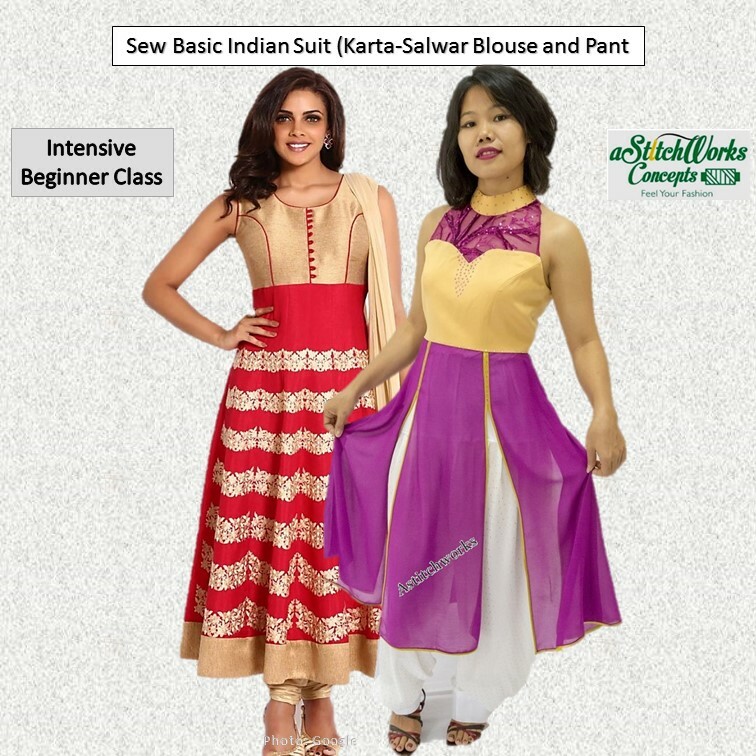 These classes are ideal and suitable for those who are a beginner or want to learn how to make simple custom fitted clothes and have their own dress patterns, using professional methods as taught at fashion design colleges. Our objective is to help learners to expand their sewing skills and at least have more time that our expert trainer able to share a cup of knowledge along in their learning progress. All classes include learning how to draft the patterns and step by step illustrated instructions of mock-up and sewing technique for each project completed that it could guide learners prepare and can practice their newly acquired skills in future. Students will learn to sew in a relaxed and friendly atmosphere during this sessions. Create a group setting that easy to conduct in a maximum of 6 to 8 person. Schedule for group classes will set up by Astitchworks. Astitchworks will provide sewing tools and machines during class period only. Students have to provide their own fabric and other sewing accessories (which does not include fee cost). Students courage to buy sewing accessories and materials (if necessary) during the teaching period in our store so that students understand and apply/use appropriate sewing products to avoid the wrong products from outside. All lessons are taught in English. If you have 3-6 person to organise any sewing course or events related, you can approach us on your own schedule via our empty slot available with no obligation and extra cost. All reservations are subject to availability with sufficient number required to run the course. If you wish to request private teaching for workshops or promotion courses, there is an extra charge required. For most correspondences, we will reply within 7 working days. For case-specific feedback/enquiries and appeals where we need more time to conduct further checks and investigation, we ask for your patience and understanding if we take longer to respond. Sewing helps control the emotional condition that could encounter a greater self-confidence while it a workout on an emotional handle. Sewing improves self-esteem as soon as it is creativity. Achieve professional standards of workmanship without complicated and unnecessary work. Gain confidence using new fabrics, different types of sewing machines, industrial techniques and learn an advanced skill that will add personal fit, distinctive details, and custom finish to your sewn products. Emphasis on commercial, custom and time-saving techniques.